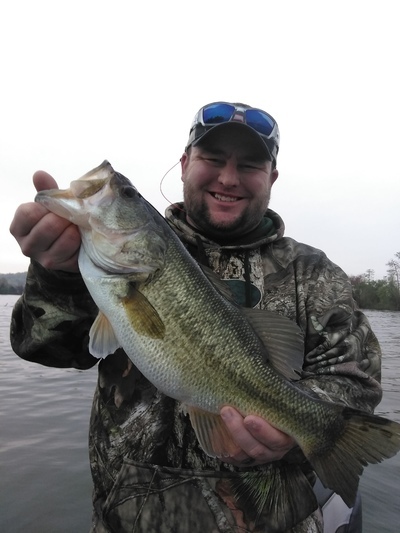 I believe we have gone through a first wave of the spawn, we are in the in-between stage right now where it appears to me that the bass not shallow and not deep they are suspending in the 8 ft. water. This tells me that one wave is moving back out and healing up and the next wave is about to move back in. I know this sounds funky but that’s how the fish are acting, as the shallows that seemed loaded last week with fish are spotty at best. The baits we used this week were very much centered around soft plastics, Missile bait “48” stick baits and D-Bombs were our number one choice and when we found some more active areas; we fished Tight-Line swim jigs and Missile bait swim baits. It’s also time to fish the Picasso buzz baits over these spawning flats and that is producing some bites. Come fish with me no one will treat you better or work harder to see you have a great day on the water we fish with great sponsor products, Lowrance Electronics, Mercury motors, Ranger boats, Duckett Fishing, Vicious Fishing, T&H marine, Boat Logix Mounts, Navionics mapping and more.